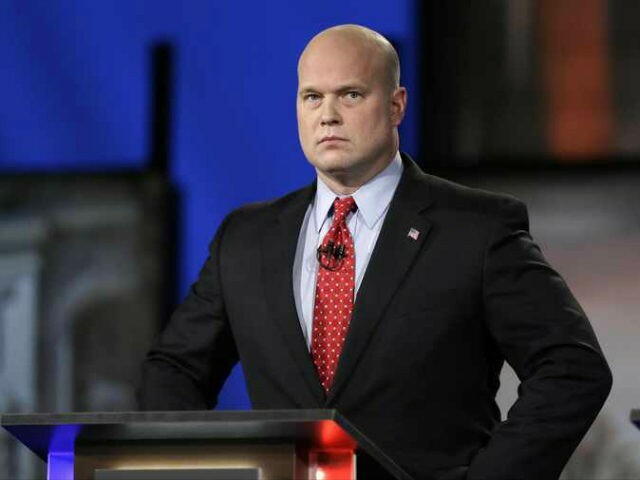 President Donald Trump praised Acting Attorney General Matt Whitaker on Friday, saying he is “a strong personality” who would do well in the Department of Justice. “He’s probably, from what I hear, a very strong person, a very strong personality, and I think that’s what they need,” Trump said. The president commented to reporters as he left the White House for a trip to Paris to commemorate the end of World War I. He said he would find a different attorney general at some point but confirmed he did not speak to Gov. Chris Christie on Thursday about the job. Whitaker, a chief of staff for former Attorney General Jeff Sessions, took power as acting attorney general on Wednesday, which included special counsel Robert Mueller’s Russia investigation. Trump said he had not discussed the case with Whitaker. Trump defended Whitaker’s appointment as acting attorney general despite failing to get Senate confirmation, noting that Mueller was never confirmed by the Senate, either. The president argued that Whitaker was “Senate-confirmed” because he served as a U.S. attorney.